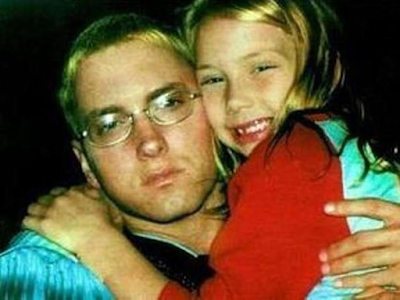 Hailie Scott, the daughter of superstar American rapper, Eminem, who inspired most of his dad's song and whose photos was shared at each turn by her proud dad, is all grown now and also beautiful. 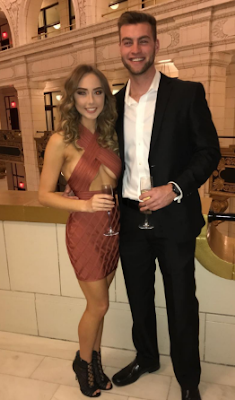 Hailie who's now 22 and also has a boyfriend who she shows off on Instagram. Hailie Jade Scott-Mathers was welcomed on Christmas day 1995, by Marshall Mathers (stage name Eminem) and his ex-wife Kim Scott. A couple of months later Marshall and Kim came to a disagreement, resulting in Kim attempting to get a restraining order. which mention Hailie [albeit less in the latter] Not long after being arrested for assaulting bouncer John Guerrera for kissing his wife, Marshall got into legal problems with Kim, as she sued for defamation relating to the aforementioned song "Kim." This attempted lawsuit resulted in Hailie and Marshall not able to see each other. Eventually, the suit was settled, and in celebration of getting his daughter back, Marshall wrote Hailie's Song. Eventually, Kim and Marshall remarried, agreeing to joint custody of Hailie.